Hello stamping friends!! Do I have some adorable ideas for you today using the latest Paper Pumpkin kit!! The original idea for the kit was to create a heart banner and treat bags. I will be doing several of the treat bags, but I was not sure what to do with the leftover pieces. Until...I stumbled on some fabulous alternate ideas from Rachel Tesman. 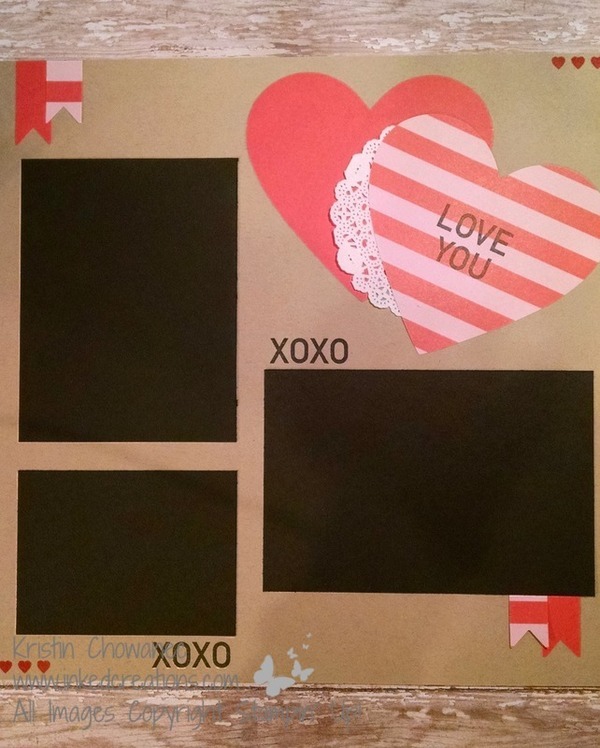 The first idea used one of the heart sheets to create a 12x12 scrapbook page! Use it for pictures of you and your sweetie or fill it with pictures of the kids! Either way it's adorable! Here is idea number two! 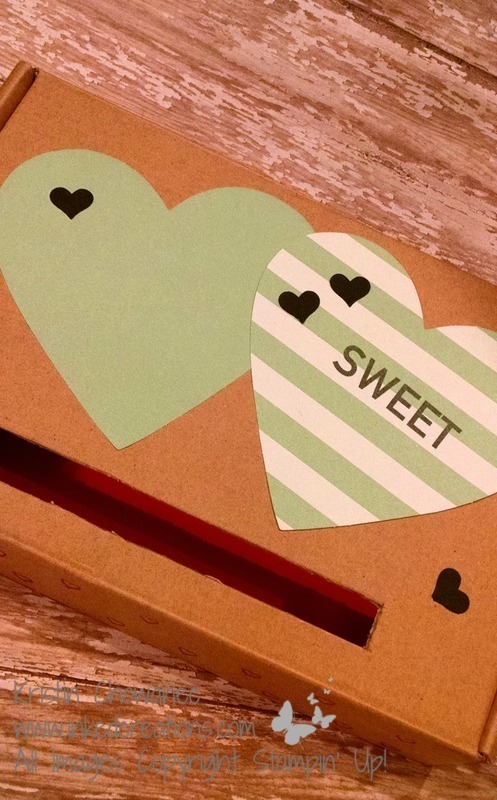 Since I have three kids in elementary school we are in need of boxes for valentine exchange parties. I turned my Paper Pumpkin box inside out and created a slot for the valentines to be slipped into. Since my youngest was willing to have hearts on his box we used pieces from the kit to decorate the outside of his box. The older two boys (7 & 10) weren't so sure. I think it turned out so cute! This idea only used one sheet of hearts from the kit! I have several sheets of hearts leftover to create little treat pouches or add to the front of cards to send out. I absolutely love getting my Paper Pumpkin every month! Stamps, adhesive, inks, and all the pieces to create fun projects right to my door! If you haven't considered it, I urge you to try it. Right now you can purchase a 3-month subscription on sale for $55 and recieve free Sale-A-Bration benefits when you redeem it!! I call that a win-win!